Finally get the photos from your old computer, files from your laptop, and photos from your phone in one place, and enjoy them anywhere. 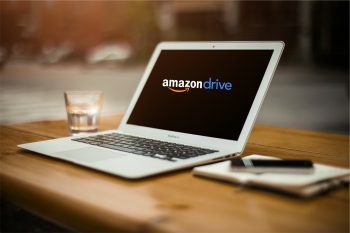 When you upload a file or photo to Amazon Drive, you’re saving a backup copy in Amazon’s secure servers. Your content is safe and easy to get to, and we’ll never change or reduce the quality of your images. Save your photos to Amazon Drive, then delete them from your device to free up space. You’ll still be able to view and share them on your phone via the free Amazon Photos app. A sleek timeline layout in the free mobile app makes it easy to find the photos you’re looking for, no matter how many you have. Amazon Drive is connected to your amazon.com account and it’s built in to your Amazon devices, like Fire TV, Fire phone and Fire tablets. Previous PostThe Canada Post Community Foundation for Children kicks off campaign with fundraising stampsNext PostWoe Canada!